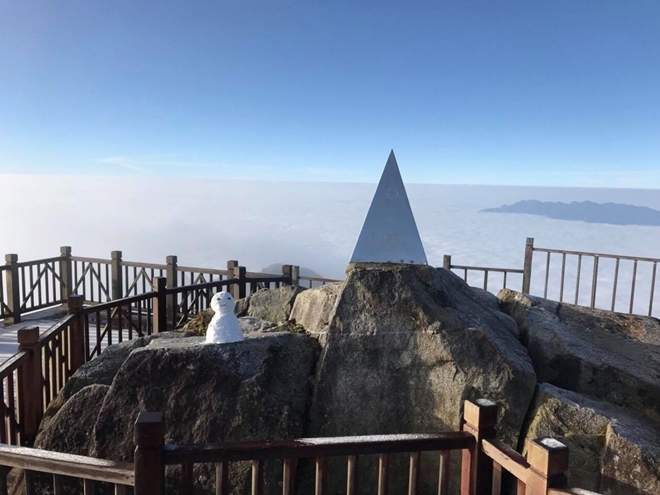 Fansipan mountain in Sapa district in the northern mountainous province of Lao Cai has been covered with snow and frost on January 17, creating a beautiful scene in the tropical country. 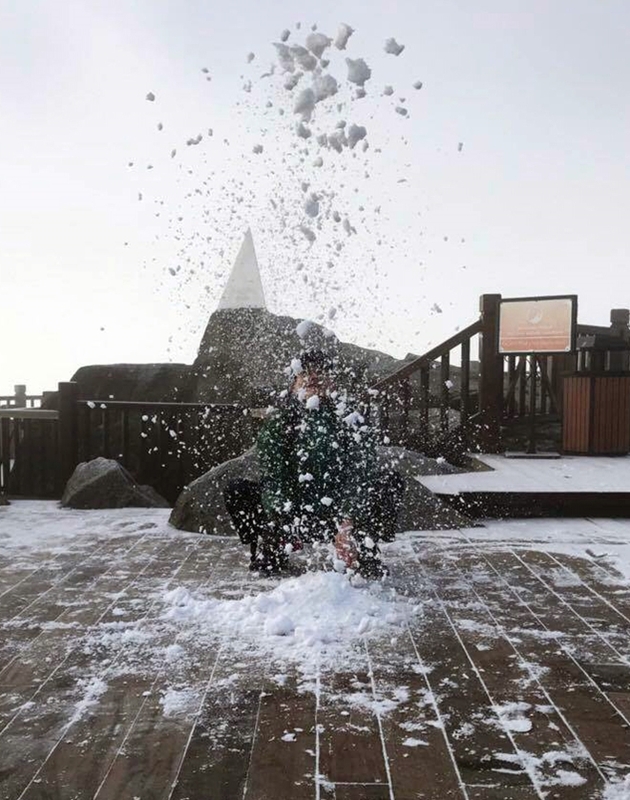 On the morning of January 17, Fansipan Peak in Sa Pa town, in the northern province of Lao Cai, was covered with white snow. 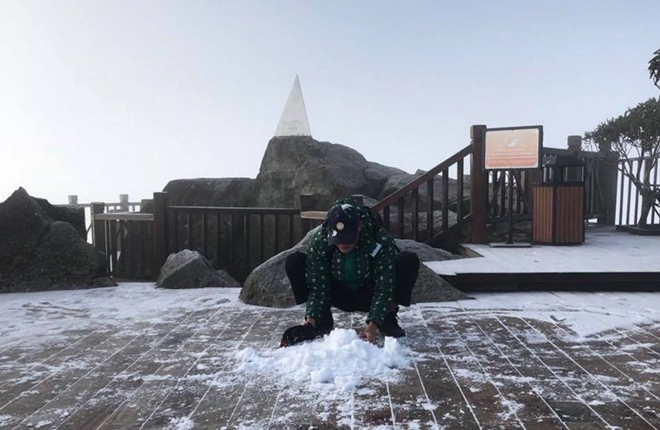 The temperature last night was minus 2 degrees Celsius and 2 degrees Celsius at 78am this morning, freezing the water on tree branches. 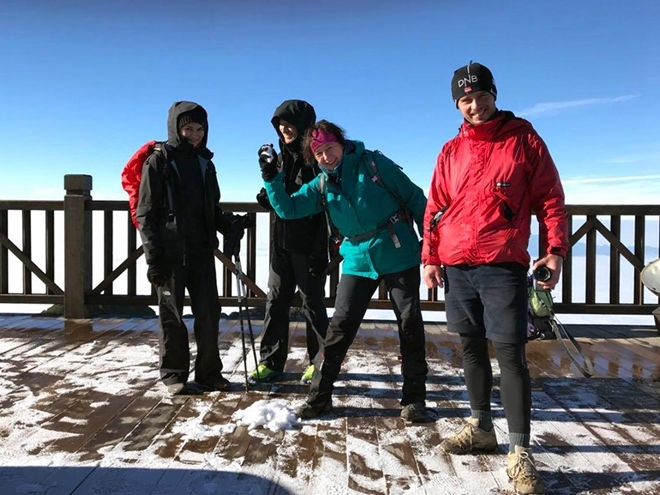 There was light snowfall and snow covered the whole top area of the highest mountain in Vietnam, creating a beautiful scene in the tropical country. 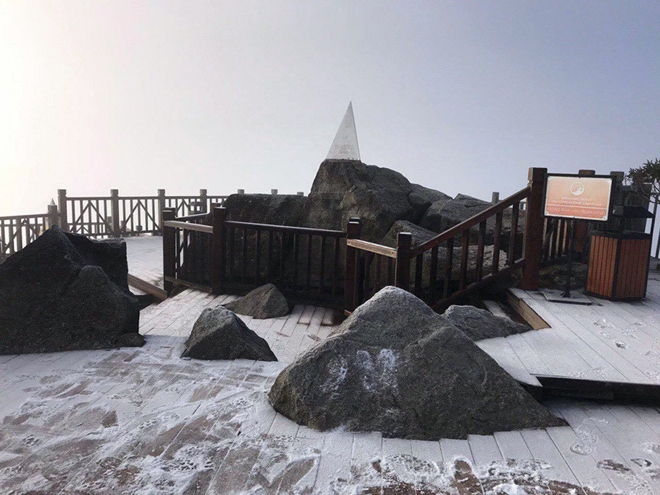 Visitors to the Sun World Fansipan Legend tourism site were surprised and impressed when they stepped out of the cable car, as the entire natural space, the top of the iron triangle at the top of Fansipan Peak at 3,143m and the wooden floor area around the top, were covered with white snow. 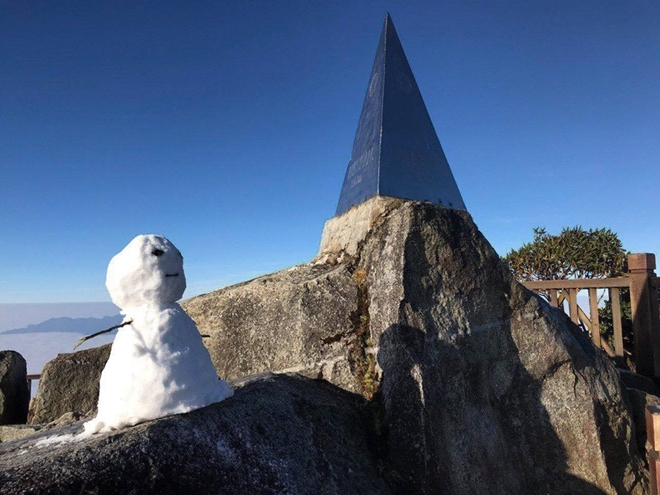 An beutiful of snow, ice and a snowman on Fansipan Mount. 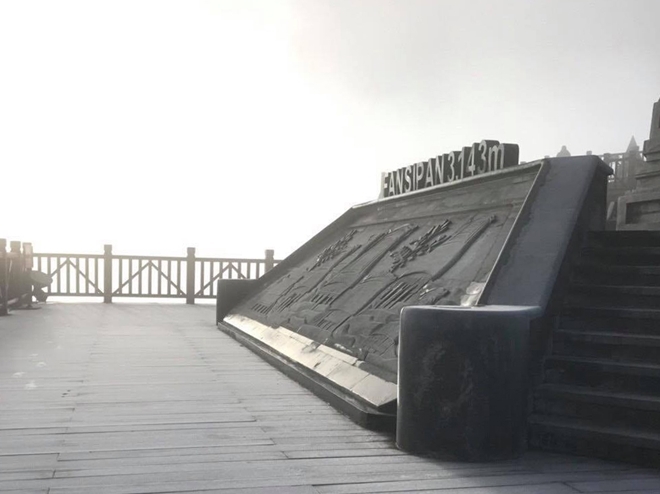 With unique festivals and the city in the carpet of clouds, the Sun World Fansipan Legend will be the unique destination for visitors to welcome the New Year.